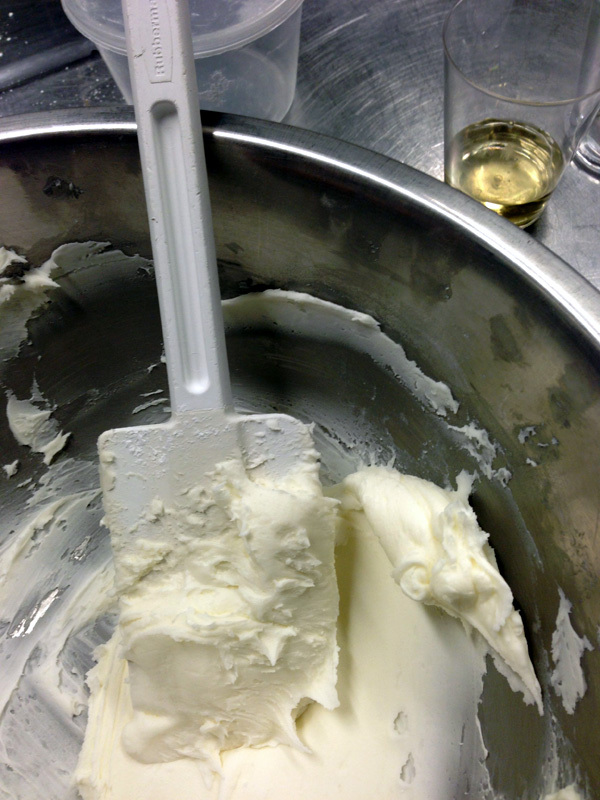 Last week I attended another baking class at One Girl Cookies. I wrote about the cookie baking class last fall, and featured some of their cookies in the Joyeux Noel luncheon I hosted last winter. As I mentioned before, Chef Dave is a fantastic host; he makes sure that everyone is comfortable asking questions during the class and has a lot of fun (and a full wine glass). He was kind enough to give us his personal entertaining tips last year - definitely go back and read them if you missed out! and The Social Type matches via Hattan Home and LEIF. 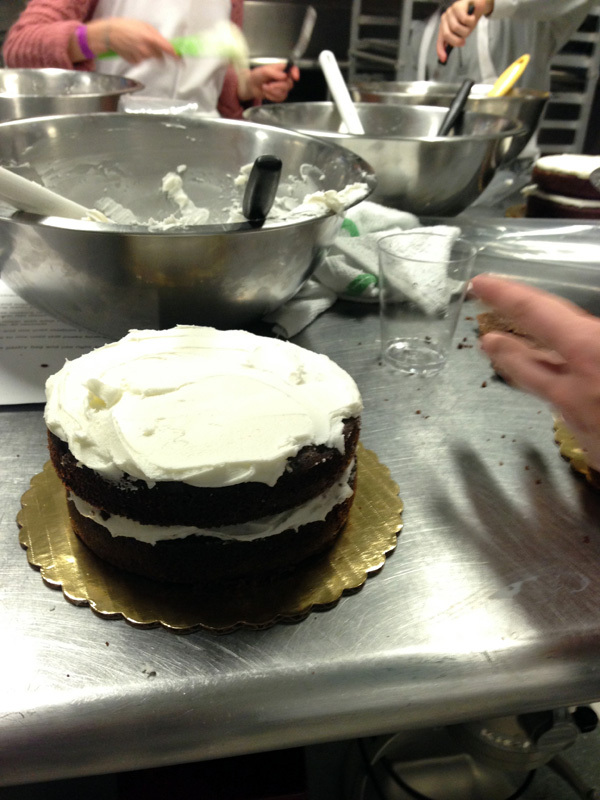 This class featured a chocolate cake with rosewater buttercream. I've ordered their cakes before for special occasions (including the baby shower I co-hosted this winter) so I knew the cakes would be delicious. The theme of the class was "sweets for my sweet" because it was originally scheduled for Valentine's Day weekend but was postponed due to a snowstorm. 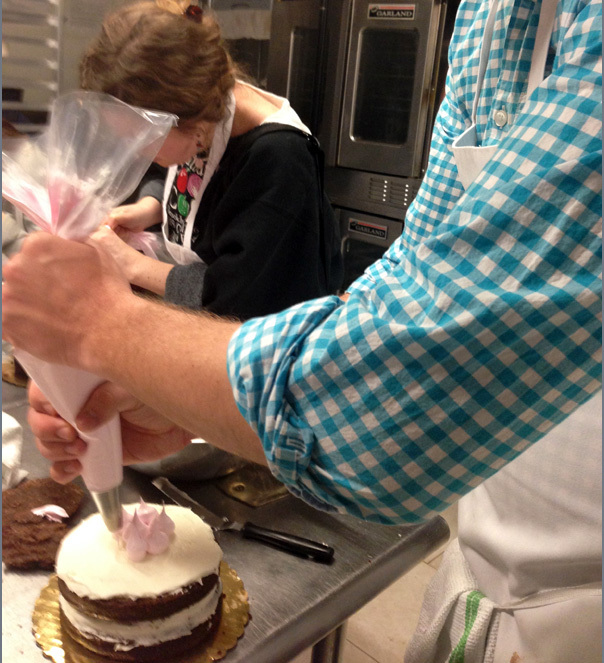 My husband definitely didn't plan to be at a baking class during March Madness, but he was a good sport about it - luckily his team wasn't playing that night! 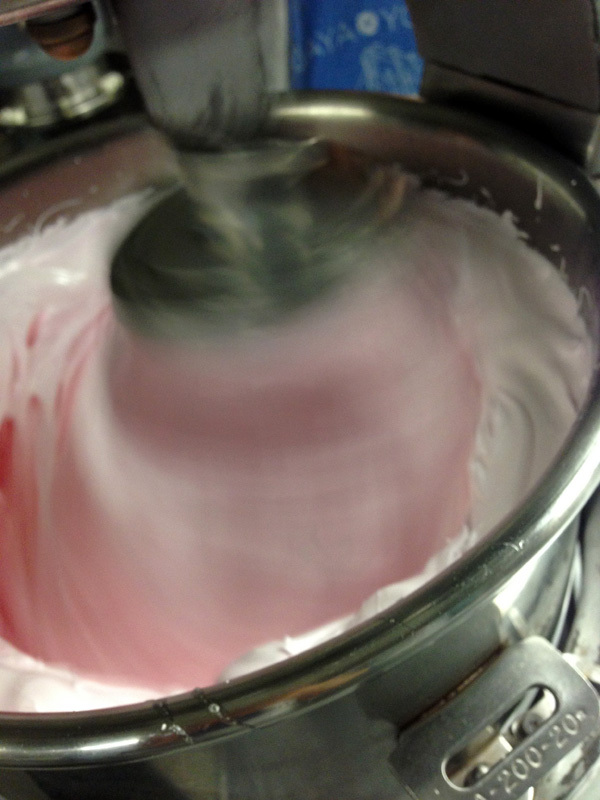 Recipes can be found in the One Girl Cookies cookbook. They are starting a new series of classes next month called "Bake the Book"- if you sign up for 3 classes in the series you get the book for free! Sign up here. 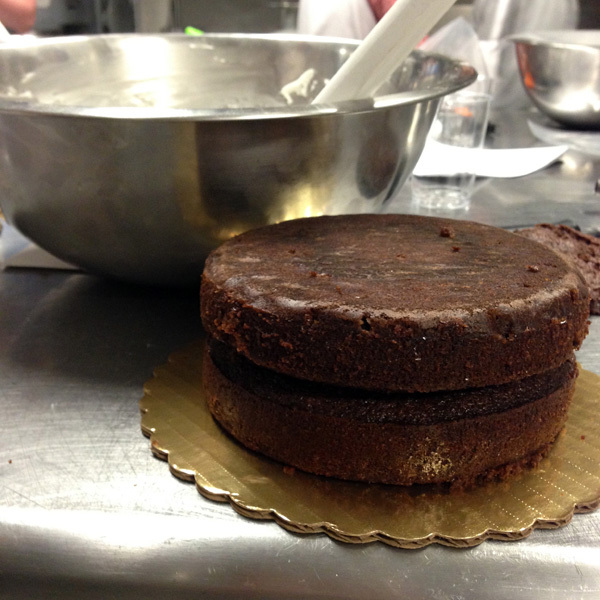 I'm definitely signing up for the whoopie pie class - the pumpkin flavor is incredible.